Learn how to get the most out of your membership! You will learn how to navigate through your member information center, submit Events, Job Openings, Press Releases, and Hot Deals. You will also learn about ways to get involved whether its a networking event or joining a committee. We will also go over the many different marketing opportunities. 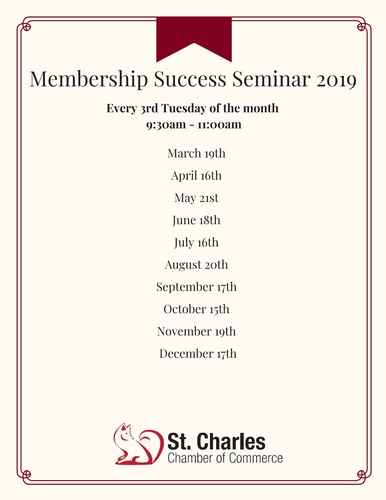 This seminar is an excellent tool for recently joined members and employees as well as members who want a refresher on the programs and services available. FREE! Registration is required to ensure your business materials are created.